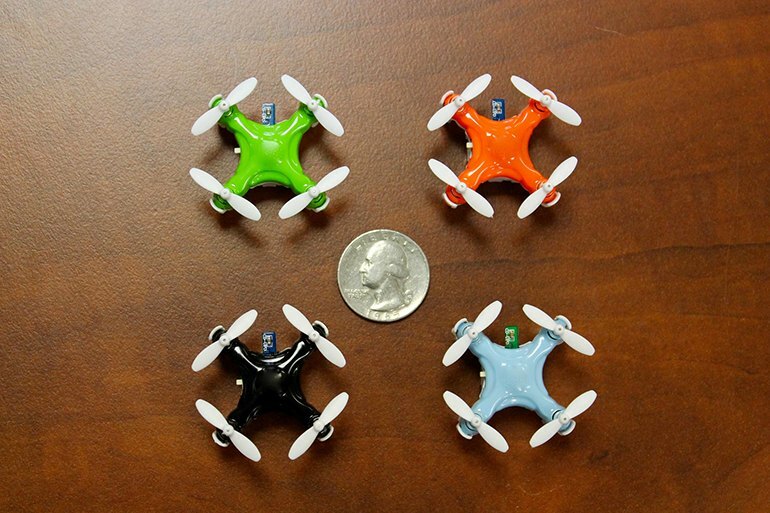 This quadcopter is tiny, durable, and remarkably fast. 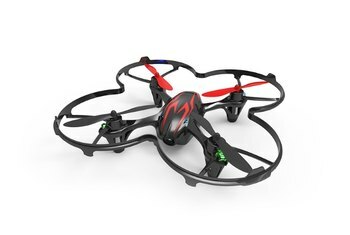 It's especially entertaining to fly at night, thanks to its bright LEDs. The Aerius packs a lot of punch for such a teensy--and affordable--product. 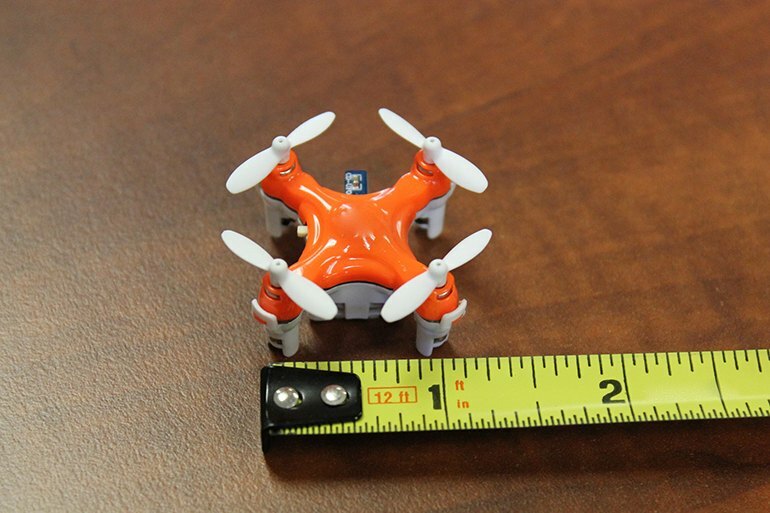 The tiny rotor blades may pop off and be lost. There's a bit of a learning curve when it comes to using the controls. The Aerius is sensitive to wind; a blast from your AC can spin it away. 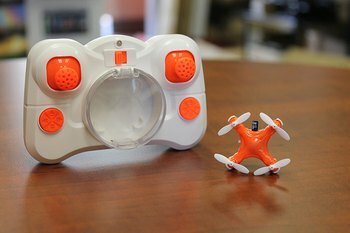 This mini-drone is incredibly dainty: The Aerius is a little more than an inch wide and less than an inch tall, and it weighs 1/4 ounce. The 2.4 GHz controller has a built-in compartment to store the drone. You can expect a 5- to 7-minute flight time for every 15-minute charge, using the USB cable. 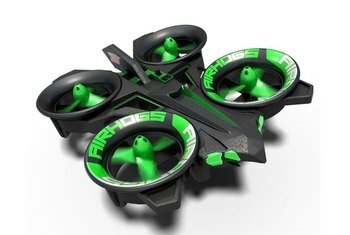 The Aerius sports a 3.7 volt, 80 mAh battery, bright LEDs, two preprogrammed speed levels, and six-axis gyro stabilization. Plus, a trick mode lets you perform tricks and flips. The four color options are black, blue, green, and orange with matching controller accents. 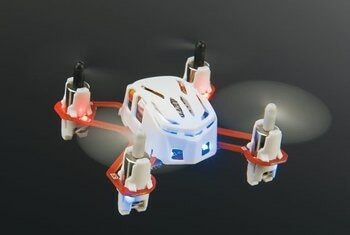 The Aerius is a little quadcopter that can manage a lot of speed. Push the throttle up and it will go flying into the air and out of sight very easily. 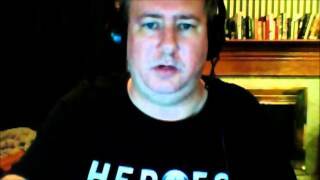 I banged into walls, ceilings, floors, and shelves while playing with the Aerius, with no harm done. If you do break a propeller, know that a full set of spares is included. Best part is that once you get the hang of things, the “Trick Mode” setting makes doing rolls and flips easy and yes, it looks damn cool too! The Aerius responds quickly to the guidance of the analog controls, needing only a light touch to get it going. 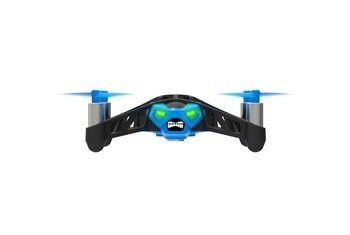 Under the hood, it’s got a lot of the same stuff you’d find inside a drone 100 times this size — including adjustable flight control sensitivity, 6-axis gyroscopic stabilization, LED lights, intelligent orientation control, and a set of pre-programmed aerial tricks that can be executed at the push of a button. 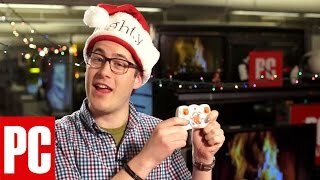 Axis Drones Aerius Flight and Review Great Christmas Present!